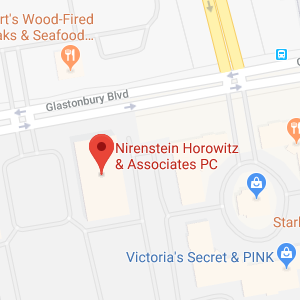 Nirenstein, Horowitz & Associates is a full service elder law and estate planning law firm serving the city of New Haven, Connecticut and surrounding areas. We help people of all ages to make effective use of legal tools to protect and secure assets, to grow their wealth, to maintain their autonomy in case of illness, and to plan for their legacy. To find out how our firm helps people of all ages with planning for the future, give us a call today. New Haven is a Connecticut city that is part of the New York metropolitan area. New Haven is located on New Haven Harbor on the north shore of the Long Island Sound. It is considered to be a coastal city and is part of New Haven County. As of the most recent census, there were a total of 129,779 residents living in New Haven, Connecticut. The population was growing rapidly, and New Haven was already the second largest city in the state of Connecticut in terms of its population. Only the city of Bridgeport, Connecticut had more people living in it than New Haven. New Haven was first founded in 1638 and it is a unique city because it was America’s first planned city. When New Haven was created, it followed a model called the Nine Square Plan that laid out eight different streets in a four-by-four grid. The grid created a 16 acre square that was the centerpiece of the town and which today is a national historic landmark. New Haven has a long and storied history not only because of its unique planned design but also because it is the home of Yale University. Yale is not only one of the nation’s oldest universities, but it remains one of New Haven’s most important employers. A great deal of economic activity centers around Yale. In New Haven, 10.5 percent of households were compromised of a senior aged 65 or older who was living alone, as of the most recent census. For those seniors who live within New Haven, there are many services and supportive programs available. Each year, the City of New Haven also hosts four special events for seniors. A Senior Volunteer of the Year lunch to honor people who volunteer to help New Haven’s elderly population. The event is held in May. A Connecticut Senior Day at Holiday Hill, which is an August event with activities, food and drink. Connecticut Day at the Big E, which is an event in September when seniors are provided luxury motor coaches to take them to Springfield, MA. A trip to Bishop Orchards, which is located in Guildford, Connecticut. Seniors can visit Bishop Orchards for apple picking, after which they have time to shop and have lunch at a famous local restaurant. While New Haven does a lot to help seniors stay happy, independent, and connected to their communities, for many seniors there comes a time when more intensive support will be required. For seniors who need home healthcare or for seniors who must move into a nursing home, Nirenstein, Horowitz & Associates can provide assistance making a plan to protect wealth, pay for care, and find the right service providers. Nirenstein, Horowitz & Associates is also ready to help those who want to make an estate plan so they can pass assets outside of the probate process and to help those who want to make an incapacity plan so their families do not have to go to probate court to transfer assets after a death has occurred. If no incapacity plan or estate plan is made, then going to probate court may become necessary to have a guardian named for an incapacitated person or to facilitate the transfer of estate assets. There are different probate courts within different counties, so if the incapacitated person or deceased person resides in or resided in New Haven, the New Haven probate court is the correct court. 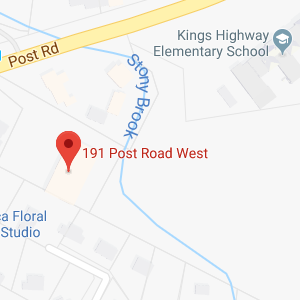 You can find out more about the court on the website for Connecticut Probate Courts. The New Haven Court is located at 200 Orange St #1, New Haven, CT 06510 and the telephone number is (203) 946-4880. Going to probate court can be more complicated than many people realize it will be, and the process of probating an estate or having a guardian appointed can require submitting lots of paperwork to the court. It is important to have the right representation when going to probate court. Nirenstein, Horowitz & Associates can represent the executor of an estate who has been named in a last will and testament, as well as heirs or beneficiaries who stand to inherit. Those who think they have grounds to contest a will can also reach out to us, as can individuals who believe a loved one is incapacitated and needs a guardian. If you live in or around the New Haven area and you want to benefit from the services of experienced elder law and estate planning lawyers, Nirenstein, Horowitz & Associates can provide the help and support you require. To find out about the full range of services that our New Haven elder law and estate planning lawyers offer, join us for a free seminar. You can also give us a call at 860-548-1000 or contact us online to learn more.